to do some training and consulting to help teams navigate the big changes happening in the development space. This doesn’t mean I will be disappearing from the Grails scene – far from it. I’m hoping that I will have a bit more time to work on some of my plugins and maybe some other projects (such as gvm, which I’m contributing to atm). I’ll see how it pans out. 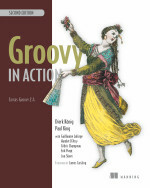 I’d like to end by thanking VMware for the support they have given the Groovy & Grails projects and for giving me the opportunity to learn some news skills and to continue contributing to the OS community. This entry was posted in Uncategorized on November 28, 2012 by Peter. It’s been a pleasure working with you, Peter, and I wish you all the best for whatever’s next! See you soon in London! Congratulations on your new journey. I’m glad to know, that you will still be a big part of the Grails community. I hope that your journey takes you to Copenhagen in May for GR8Conf 2013! Thanks for all you work! Good luck Peter! I’m looking forward to seeing what you produce in your next ventures. Good luck with your next endeavours Peter, it’s been a real pleasure working with you! 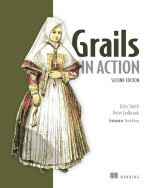 Looking forward to the release of Grails in Action 2nd edition! Sorry to see you leave but congrats for your continued involvement with the community and thanks a lot for all your contributions. Pingback: Questa settimana in Grails (2012-48) - luca-canducci.com - Il blog di Luca Canducci: notizie, tips e nuove tecnologie dal mondo dell’IT. That’s unfortunate. You’re probably the best thing that happened to the community. Hope there will be someone to take over your job position. Good luck with the book, and your consulting business. Glad to hear that you will continue to contribute to the community. Congrats, we’ve learnt so much from you, all the best on future endeavours.